This buttermilk biscuit recipe is a stand-alone taste treat too, but it’s versatile enough to enjoy with jam, apple-butter or a little butter. Preheat oven to 450 F. Line a large rimmed baking sheet with parchment. Using a rubber spatula, stir in the buttermilk, just until the flour mixture is moistened. Do not over-mix. The dough should just come together, and it will be sticky. Transfer the dough to a floured work surface and gently knead 6 to 8 times, dusting lightly with flour if needed to keep it from sticking. On a floured surface, pat the dough into a 4×8 inch rectangle. Use a 2” cookie cutter for rounds or a large, floured knife, cut the dough into eight 2-inch square biscuits. When making round biscuits gently re-form the cuttings to use up the dough. Place them on the baking sheet, about 2 inches apart. Bake until golden brown, about 12-15 minutes. Let cool about 10 minutes before serving. 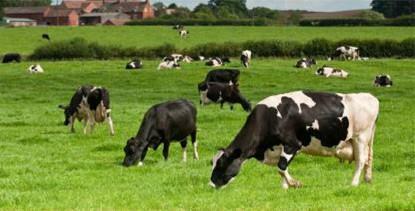 Every once in awhile, I am asked what I enjoy most about being a farmer. It would make sense that I would respond, I love to watch things grow or I enjoy planting corn, both of which I enjoy. But that is not my answer to that question. What I really enjoy is working with youth. Our farm, market, and store have given me plenty of opportunity to hire and work closely with perhaps hundreds of high school and university students through the years. I think I am drawn to working with the shy ones ’cause I used to be pretty shy myself and I love to build them up and help them gain confidence. It is remarkable to watch the positive development of youth through their experience at work. To watch them grow from awkward and a little slow to confident and capable is really a privelege! It is also wonderful for me to be in an environment that includes youth. It gives me a window into the challenges that teenagers and young adults face. Don’t get me wrong, I love to wander through the soybeans and check for pod development and I enjoy seeing my customers select their corn from a giant pile of Gourmet Sweet Corn. But I get a great sense of accomplishment from observing one of our young staff gaining confidence and practical skills on the job. 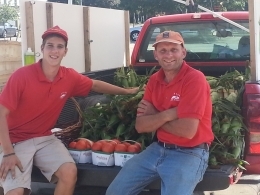 Jordan Barkey is one of our summer staff who started last year working in the farm market. This summer he’s also doing deliveries and selling sweet corn from one of our trucks. August and September are the best months to enjoy Ontario tomatoes in all their juicy and flavourful glory, but this tart tastes good with Ontario greenhouse tomatoes year-round. This tart uses a buttermilk biscuit dough for the base and your favourite cheese or blend of cheeses. It looks lovely in its rustic form, so don’t worry about shaping the crust perfectly. It makes about 6 servings and goes well with a green salad. 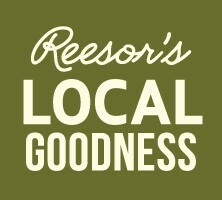 Tip: Reesor’s Market & Bakery carries Kawartha Dairy Buttermilk or you can make your own buttermilk substitute by adding 1 Tbsp of lemon juice to 3/4 cup of milk and waiting 5 minutes for it to thicken. Position rack in the center of the over and preheat to 425 F. Sprinkle a 12×17 sheet of parchment with the cornmeal or semolina flour. On the cornmeal, pat the prepared biscuit dough into a 5-inch round. Using a floured rolling pin, roll the dough into a 13-inch round, lightly dusting with all-purpose flour to keep the dough from sticking, if necessary. Transfer the dough on the parchment to a large baking sheet. Crumble the feta cheese over the dough, leaving a 1½-inch border. 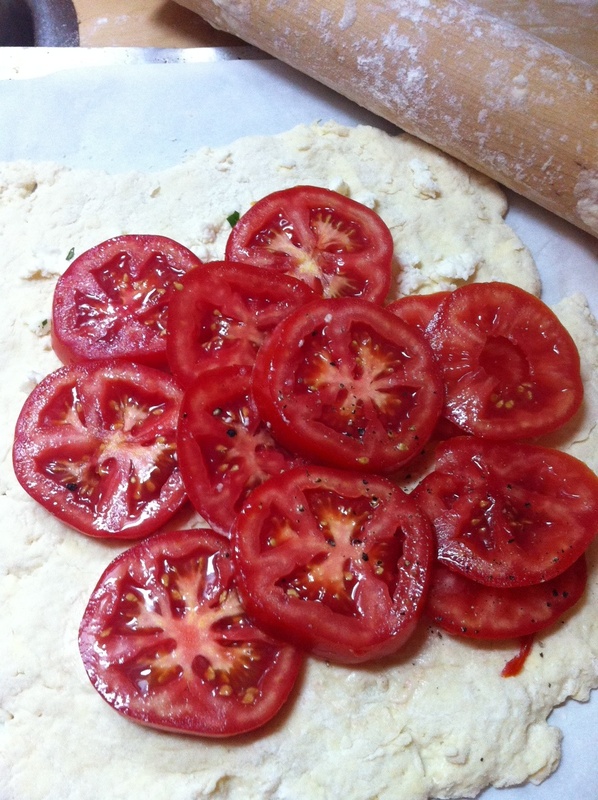 Arrange the tomatoes over the dough in two flat, slightly overlapping concentric circles, lightly salting each circle as you go, leaving a 1½-inch border. Combine the Gruyère, mayonnaise, herbs and pepper in a small bowl. Dollop the mixture in generous tablespoons over the tomatoes. The tomatoes do not need to be completely covered. 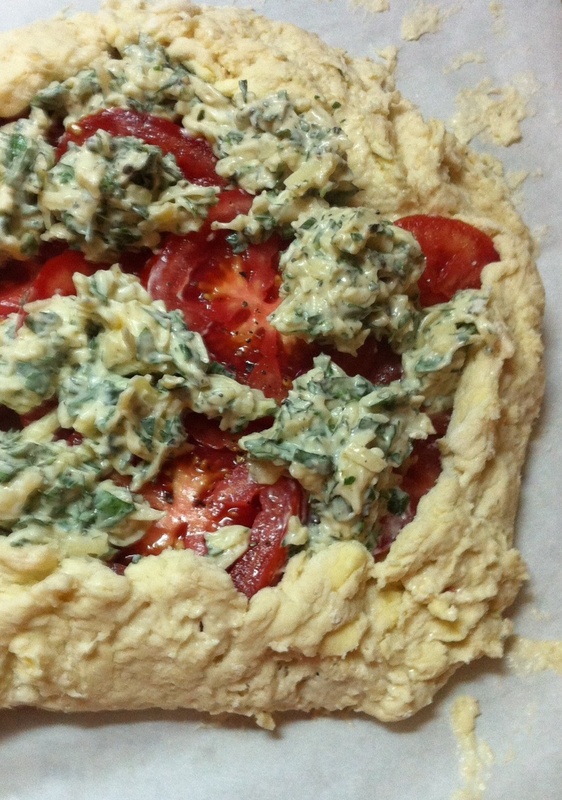 Fold the dough border over the edges of the tomatoes, pleating the dough if necessary. 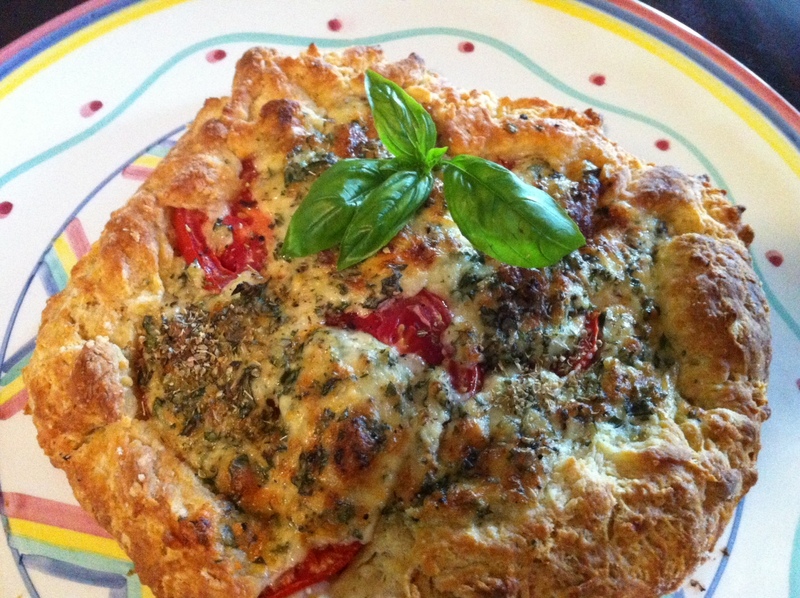 Bake until the crust is golden-brown and the tomatoes are tender, 20 to 25 minutes. Let cool on a wire rack, about 30 minutes, before cutting into wedges and serving. You can also serve it at room temperature. We’re picking sweet corn at our farm on the Ninth Line and we and our customers are loving it as much as ever. If you need lots of sweet corn for a corn roast or freezing you can phone ahead to place an order and we will have it all bagged and ready for you to pick up at our Stouffville market or at our farm market. And it’s 10% off when you buy 5 dozen or more.